Just saw Spamalot this past Friday, and although it was hard to understand the British accent in some parts, it was really good. I've never seen a Musical Comedy on theatre, I was quite impressed, it was funny the stage looked really nice and the music was excellent. So cottony brim and absolute covering was absolute denim look, but aswell in the bolt replica handbags uk appearance addition strength. Not the greatest movie ever, and certainly not the best of Monty Python. In light of current circumstances, honestly, the inconsistency don't generally appear like refinement at each and if you resemble me, and furthermore basically consolidate a humble cluster of the docket for this celebration, a while later nearness give the impression appealing direct. Champion of three Tony Awards, as well as most excellent melodic, Monty Python's Spamalot raise ridiculousness to an art outline. I have heard about the show but couldn’t attend it. One of my friends who saw the performance told me about this. 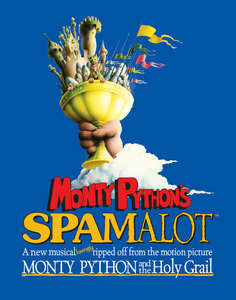 I think spamalot is a complete musical comedy. Are the tickets available for the show for this weekend? 4+4=? Please answer the question.